The peace that exists on the Korean Peninsula continues to be a precarious one based on the Armistice Agreement signed in 1953 ending the combat operations of the Korean War. Over the years there have been many provocations that have resulted in both military and civilian deaths and drawing observers to the edge of their seats. With the recent missile tests that North Korea has engaged in, it has become necessary for the Republic of Korea (ROK, commonly referred to as South Korea) and those who assist in protecting its people to step up their defensive posture. United States Forces Korea (USFK) has recently announced the culmination of discussions between the ROK and U.S.A. resulting in the deployment of the Terminal High-Altitude Area Defense (THAAD) system onto South Korean territory. 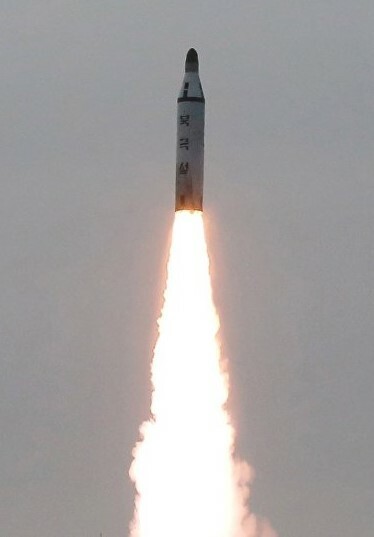 North Korea’s nuclear test and multiple ballistic missile tests, including the recent intermediate-range ballistic missile (IRBM) launches, highlight the grave threat that North Korea poses to the security and stability of the Republic of Korea (ROK) and the entire Asia-Pacific region. In response to the evolving threat posed by North Korea, the United States and the ROK have been conducting formal consultations regarding the feasibility of a Terminal High-Altitude Area Defense (THAAD) battery operated by U.S. Forces Korea (USFK) since early February, as a measure to improve the missile defense posture of the ROK-U.S. Alliance. Based on these consultations, the ROK and the United States made an Alliance decision to deploy THAAD to USFK as a defensive measure to ensure the security of the ROK and its people, and to protect Alliance military forces from North Korea’s weapons of mass destruction and ballistic missile threats. Through the past months of review, the ROK-U.S. Joint Working Group confirmed the military effectiveness of THAAD on the Korean Peninsula and is in the final stage of preparing its recommendation for both the ROK Minister of National Defense and the U.S. Secretary of Defense regarding the optimal site in the Republic of Korea for the system’s effectiveness and for environmental, health, and safety requirements. The ROK and the United States are working closely to ensure the swift deployment of THAAD and will develop specific operational procedures. 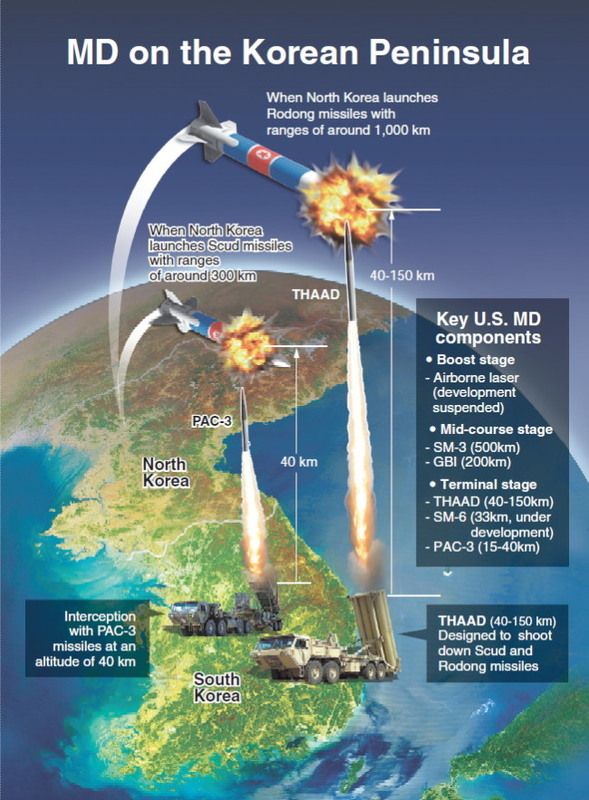 July 8, 2016 — YONGSAN GARRISON, SEOUL, Republic of Korea – The Republic of Korea (ROK) and the United States of America (U.S.) agreed today to deploy the Terminal High-Altitude Area Defense (THAAD) system to the Republic of Korea, in response to North Korea’s continued development of ballistic missile technology in contravention of six United Nations Security Council Resolutions. This Alliance decision was recommended by ROK Minister of Defense Han, Min Gu and Gen. Vincent K. Brooks, Combined Forces Command, and U.S. 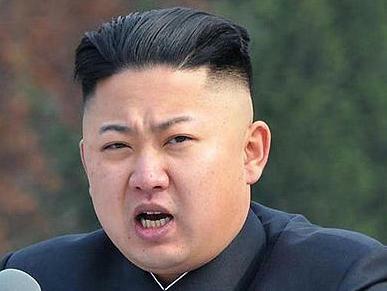 Forces Korea commander, and was approved by the ROK and U.S. governments. The decision to deploy THAAD underscores the ironclad commitment of the United States to defend the Republic of Korea. THAAD will be focused solely on North Korea and will contribute to a layered missile defense that would enhance the Alliance’s existing missile defense capabilities against North Korean missile threats. There are many places around the world that need our prayer, places where people not only live under the risk of armed conflict, but daily their citizens are being persecuted, tortured or killed. Most of us can’t go into those areas to help, but as believers we can pray for them. Pray that evil will not triumph. Pray that the faith of believers will remain strong under the most brutal trials. Pray that Jesus will return soon to put an end to Satan’s reign over the hearts of so many who cause terror in our world today.